The project required a quick turnaround with little or no impact on productivity. Once delivered to site, Teepee agreed an installation program to ensure there was minimal disruption to the client’s business. 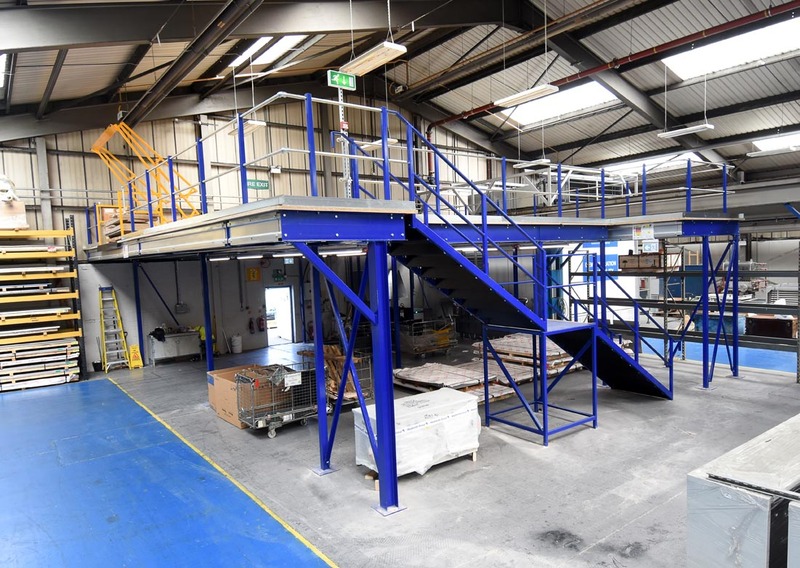 During the tender stage, a concept drawing of the mezzanine floors was provided, for which Building Regulations approval had been verbally obtained. On receipt of the order, Teepee carried out a detailed site survey to enable the floor design to be completed. 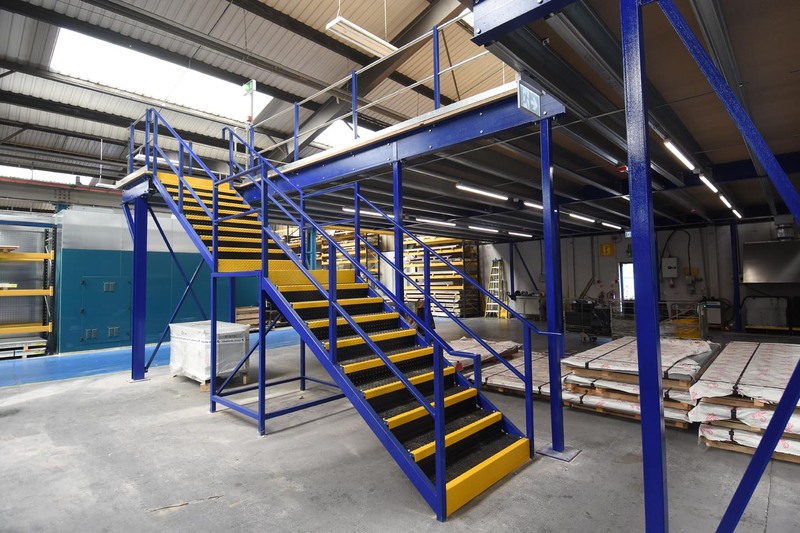 On approval, the mezzanine floor was issued for manufacturing and structural calculations were sent to our building inspector for formal approval. Prior to arrival onsite, Teepee issued relevant method statements and risk assessments in accordance with CDM regulations, which also included submission of a detailed installation plan. 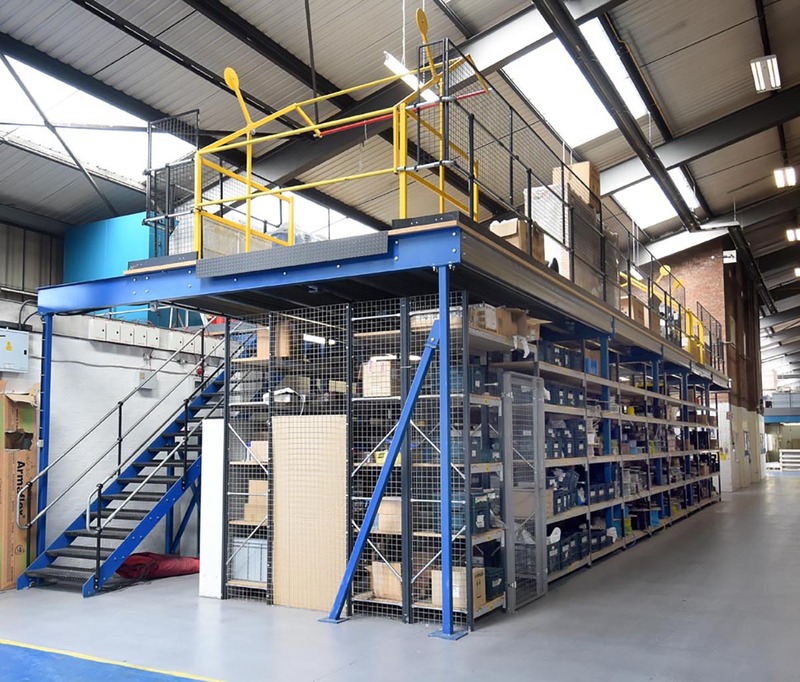 Once the mezzanine floor was erected, Teepee installed partitions, shelving and mechanical and electrical services (M&E). On completion of all works, the building inspector carried out his final onsite inspection, prior to final certificates being issued to the client. Additional 7,757 sq ft (721m2) of storage space. Space below provided canteen, secure stores and production areas. All floors fitted with safety gates to load palletised goods. Building regulations approval obtained on client’s behalf. Business Founded in 1972, the Weatherite Group has established itself as one of the UK’s leading manufacturers of energy efficient, low carbon, high quality Heating, Ventilation and Air Conditioning (HVAC) equipment. 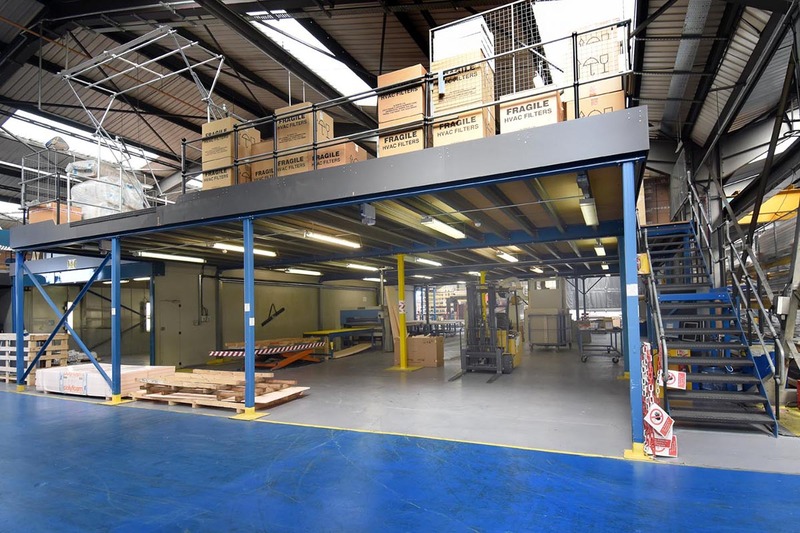 Our Brief Over a period of 10 years, Teepee have installed a total of 4 individual mezzanine floors providing an additional 7,757 sq ft (721m2) of storage space. 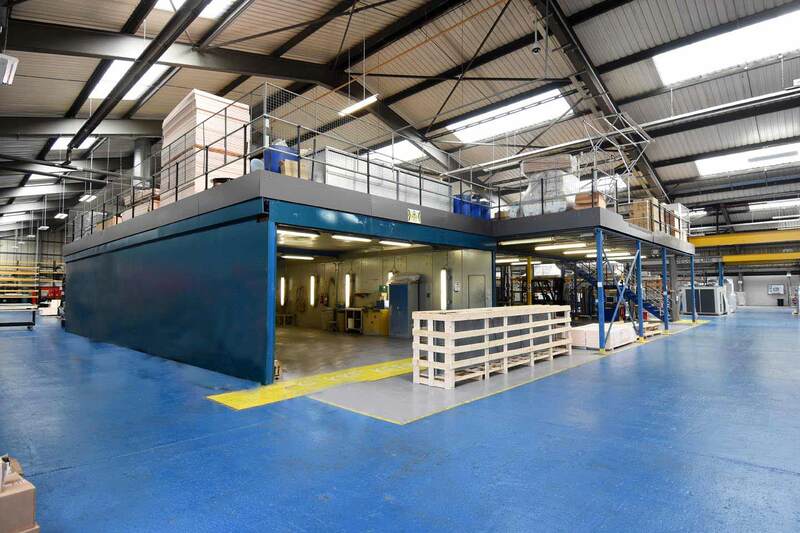 The areas underneath the mezzanine floors have been used in various ways including a canteen, secure stores and production areas, with all mezzanine levels being utilised for storage purposes. Timescale 2/3 working weeks for each floor working in conjunction with Weatherite.